QuickTime was a breakthrough for Macs. July 8, 1991: The first beta version of QuickTime arrives, making it possible for people to play movies on their Macs for the first time, with no extra hardware needed. 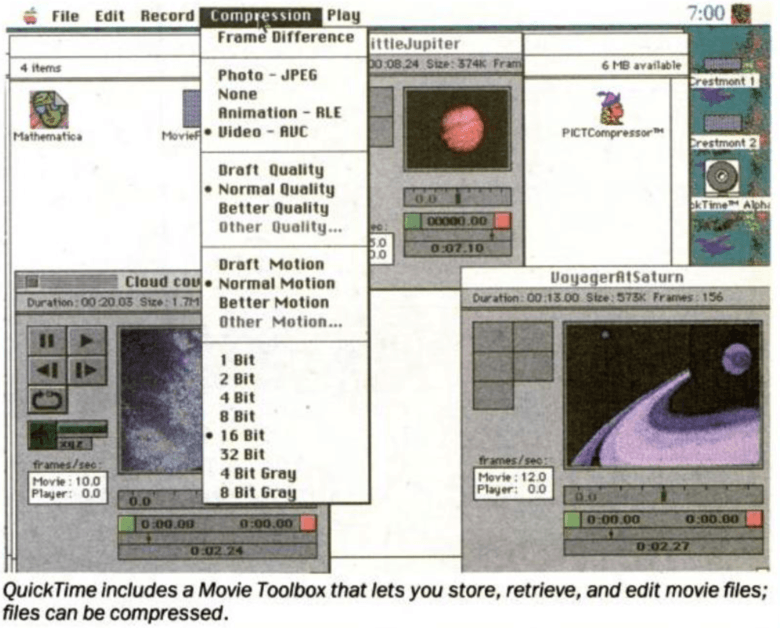 While allowing videos to run on a computer seems par for the course in 2016, QuickTime represented an enormous leap forward in 1991 — and cemented Apple’s position as a groundbreaking computer company for creatives. QuickTime’s road to commercialization was actually a somewhat protracted process. In the 1980s, Apple engineer Steve Perlman wrote a program called QuickScan, which allowed video playback to run on a Mac. Although the tech got a public demo, it was canceled before release — largely because it required its own graphics chip to run. But the idea of getting videos to run on Macs stayed, and eventually transitioned into QuickTime. InfoWorld’s July 8, 1991, issue takes a look at QuickTime. QuickTime 1.0 was demoed by Apple at its second Worldwide Developers Conference in May 1991. 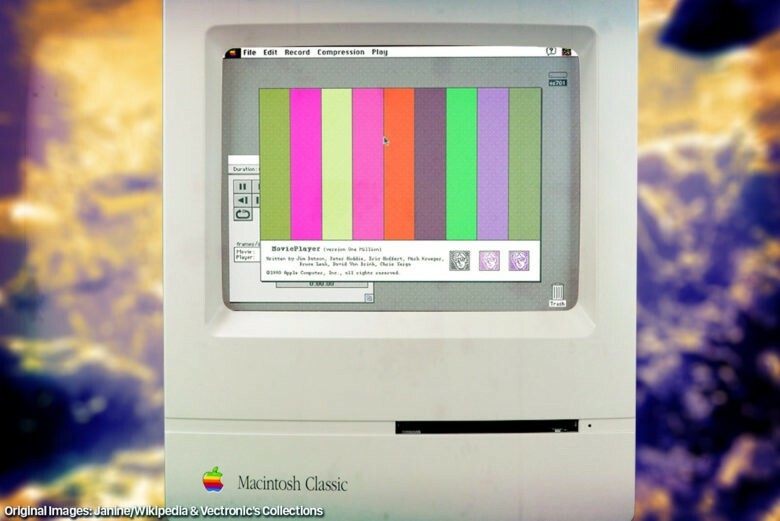 The first QuickTime video shown to audiences was Apple’s iconic “1984” ad for the Macintosh. Beta versions of the software began arriving on Macs in July, before the final version shipped to consumers on December 2, 1991. Looking back at the comments the QuickTime beta got upon its release, one of the aspects developers found most exciting was that the software provided a way of adding a broad range of time-based data types to Mac programs. This referred not just to movies, but also the possibility of developing tools like accurate time-based scientific instruments. This time-based element of QuickTime (evident right there in the name!) took precedence over anything else. Watch a movie, for instance, and if your CPU was too slow to handle a high frame rate, video frames were skipped over in order to keep up with the soundtrack. On a then-current Mac IIci or IIcx system, you could expect to play QuickTime movies of around 160-by-120 pixels at around 10 frames per second. At a point in computing when machines often ran slowly and at far more noticeable time differences compared with today for even the most basic programs, this notion of software that could unify time across all different types of hardware was very exciting. Even 25 years after its launch, QuickTime remains part of Mac OS, and shows no signs of going away. Do you remember QuickTime 1.0? Were you a developer excited about it when you first got your hands on a copy a quarter century ago? Whatever your memories, leave them below.